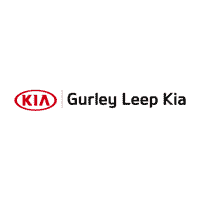 Why Buy From Gurley Leep Kia? Our customers come first. When it comes time to finance your next new or used car, the Gurley Leep Kia finance team can put together a competitive package that works for your budget. We work on your behalf, keeping your experience stress-free by tailoring your auto loan or lease terms to meet your individual needs. To keep your vehicle running and looking its best, visit our service department and body shop. For routine maintenance, major or minor repairs, or dealing with an unexpected surprise, our certified technicians can handle what life throws at you. And our parts department offers the best certified OEM Kia parts and you’re able to order conveniently online and pick up in our Kia store. At Gurley Leep Kia of Mishawaka, we know you will find the best selection of Kia models. For over 40 years, we have built our reputation on delivering the best in quality, customer care and service in the Mishawaka, South Bend, Elkhart, Granger and surrounding region in Michiana. Our knowledgeable staff has the answers you need so you know you’ll be making the best buying decision on your next new or used car. Browse our online inventory of new or used vehicles to easily find the perfect car for you. Or stop by our convenient location at 4028 N Grape Rd. Want to schedule a time to see that dream car in person? Give us a call at (574) 914-0088. We’ll get it ready for you and answer any questions you have about the details.